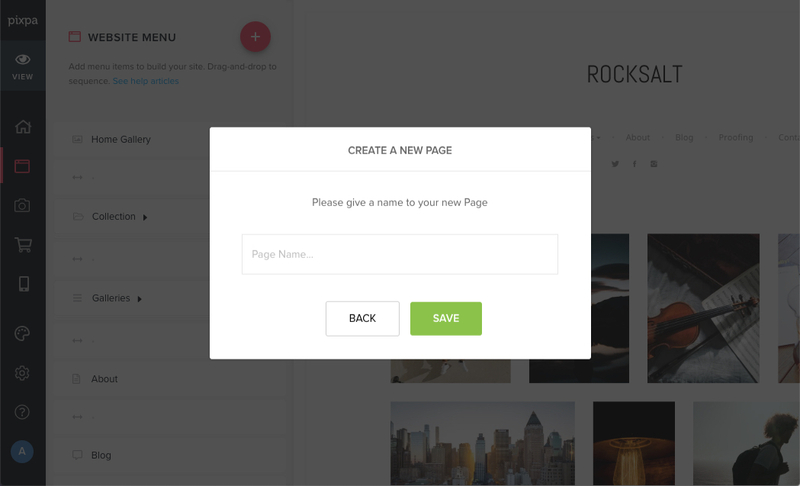 Pages let you create any kind of information based page using 100+ content blocks with Pixpa’s easy drag-and-drop PageBuilder. 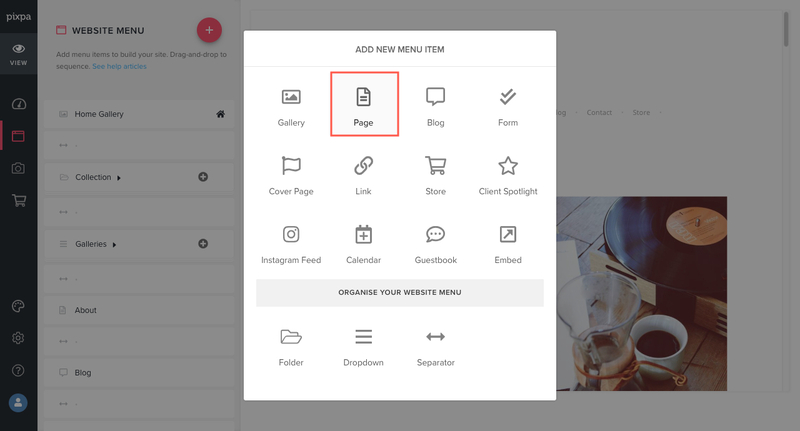 You can arrange, organise, edit and customise these content blocks to create unique pages for showing your content. Go to website section first. You can add any menu item to your website by clicking on the ✚ icon next to website menu. This will open up a screen which lets you choose the different types of menu items that you can add to your website. Click on the Page menu item. Specify a name to your new Page. 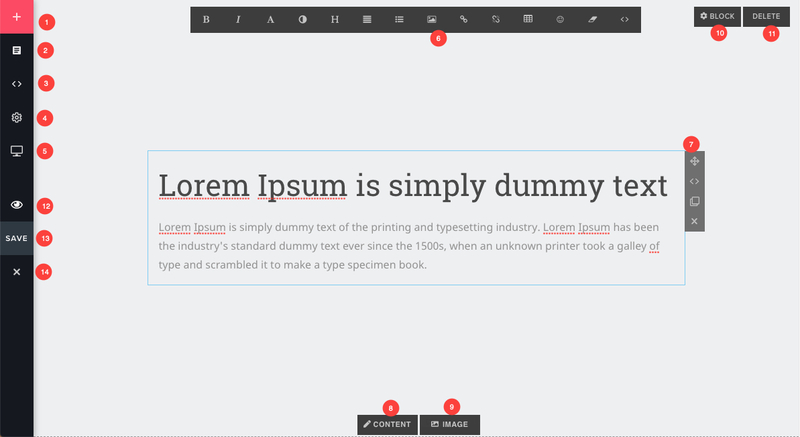 In the next step, you would see the editing area where you can now drag-and-drop content blocks and snippets from the left side-bar onto the page canvas. This screen is called PageBuilder. You can delete the default demo block by clicking on delete button and add a new block to get started by clicking on + icon on top left black bar. Pixpa has over 100+ content blocks that you can use – text, video, location, contact forms, images, testimonials, profiles, pricing, and much more. Start by Adding Blocks – Click on the + icon to add a new block. 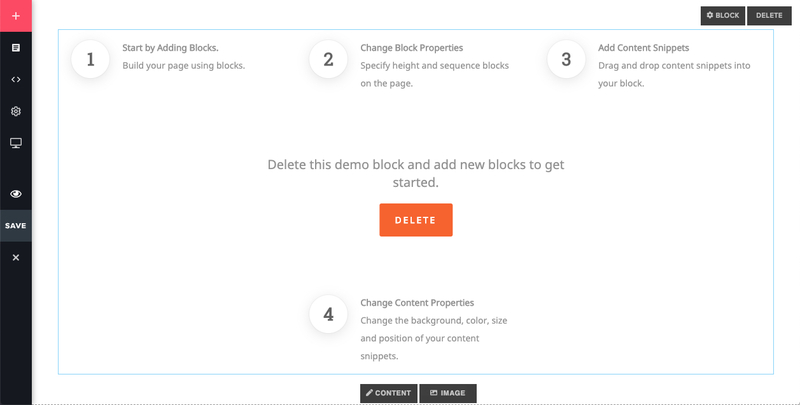 You can filter from 100+ content blocks that you can use to build your page. With the help of block, you can divide and organise your page in multiple sections. Add Content Snippets – Your can drag and drop any content snippets into your block that is created in step 1. You can filter the snippets from the drop-down. Get HTML code – You can get the entire HTML of your page from here. You can add your custom code or use the same to duplicate the page. Page Settings – Manage your page settings. Know more. Banner – Used to show a full-width banner on the top or bottom of the page. Know more. Editing tool box – This is your text Editing tool box. Click here to know more. Page Canvas Area – Page canvas area to build your page. You can build your page by dragging content blocks and snippets from the left column. You can also manage the individual snippet settings and sequence them on the page by drag and drop. Change Content Properties – You can change the background, color, size and position of your content snippets from here. Upload Image – Upload the block background image from here. Change Block Properties – Specify height and sequence blocks on the page. Delete – Used to delete this particular block. Close button – Used to close the page and go back to website section. Click here to see how to add a banner. Click here to know more about custom page editing tool box.